June 25, 2017, 10:37 p.m. Thinking about heading up for July long weekend. Anybody got any idea how things are up there? June 29, 2017, 3:59 p.m.
Tyax Adventures had posted on FB a couple of weeks ago that the main routes have been cleared. I'd imagine anything they used on their guided tours has been cleared. We were up there mid-June and found that on the one of the lesser used trails we checked, the winter blow down was very heavy. Lots of big trees down. 217 trees over 3km, 3 of us spent 3 days working on it. Didn't even get half way to our objective. Carry a folding hand saw, you might need it. June 30, 2017, 11:12 a.m. Thanks craig, I think we may not go further than pemby this weekend. Still lots of snow as well apparently. July 4, 2017, 10:21 a.m. There are a few trail reports posted to Trailforks from people riding up there this weekend. Hopefully more will be posted over the next day or two. July 6, 2017, 12:15 p.m. Went over Eldorado/Windy and out Gun Creek Tuesday. A few minor patches of snow. 2 big trees down on the Taylor climb, other than that it was all it good shape. Hooked a tree and went down above Jewel Creek, if anyone sees a radio, most likely where I lost it. July 8, 2017, 3:14 a.m.
Can anyone recommend the ideal gear ratio for a weekend there? I was considering getting a 26T even if I never use it again. July 10, 2017, 10:12 p.m.
26t would be alright, but by the time the grade requires you to be in that gear you maybe wheeling up the hill. July 13, 2017, 9:33 a.m.
Did a camel to high trail to dog trails. Lotsa mud on high trail, lower trails running smooth. Heard ridge was good to go if you do both ridge parts, but cinnabar meadows descent was full of snow. July 18, 2017, 9:49 a.m.
Windy/Eldorado Ridge/Lick on Saturday was also awesome, just a couple snow patches on the way to Spruce Peak, very minimal though. July 18, 2017, 10:55 a.m.
sick shots, todd. really need to explore that area some more. July 22, 2017, 4:01 p.m.
wow, pretty wild about the Griz at Mowson. locals told me the Griz are rarely found that low or near roads/people. another local told me that the sows w cubs sometimes prefer roads/people to anywhere boars are (close to the alpine) so as to preserve their cubs. July 24, 2017, 11:06 a.m. Pretty common for that mom (I think her) to be around the Gun Ck. Rd/Tyaughton lake Rd. Cool that she has 3 cubs this year, apparently that is rare (?) In the early season they are low in the valley, usually they move up as their food starts to get ready at the higher elevations. Loads of bears up high right now. Saw a monster male at Trigger meadows last week. July 26, 2017, 11:50 a.m. 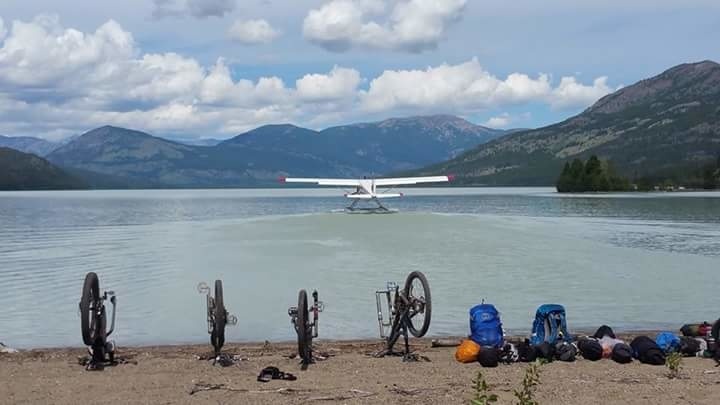 Anyone been to Taseko Lake this year? How is the double track up the river? Anyone been over any of the passes? July 27, 2017, 9:32 a.m.
Bumped into a lady last week who was over Powell (by horse), and she said it was a bit rough. Warner sounds rocky as usual. Battlement is probably in its usual old mining road shape. July 27, 2017, 2:39 p.m. I heard about the woman on the horse from someone else. We went over Powell Pass last summer, it gets minimal traffic so virtually no maintenance. Warner is the only one left but just wondering what the blowdown is like on the Taskeo double track and on north side of Warner single track. Just wondering if anyone has been through there this year.